Looking for spores or cultures? 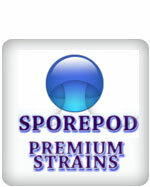 Check out Sporepod.com! The Original Certified Authentic MYG MEGA-YOU-GROW® Mushroom Kit is an easy to use growing system famous for amazing results - every time! MYGTech Kits have proven to be the easiest, most successful and productive mushroom kits on the market. Ideal for everyone wanting to learn how to grow edible, medicinal and exotic mushrooms at home using the mushroom casing method. 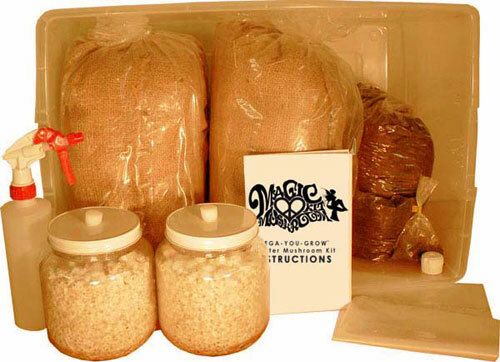 MYG Mushroom Growing Kits teach you how to easily use straw substrate and casing soil to make a large, healthy fruiting bed for growing 3 flushes of beautiful organic mushrooms at home! The MYG Mega-You-Grow® Cornucopia Mushroom Kit is a mega-sized mushroom kit designed to yield high quantities of organic mushrooms for the at-home mushroom grower. With a double sized fruiting area, double casing components and an included mushroom growing chamber, the MYG Cornucopia Mushroom Grow Kits are twice the fun of the original MYG. Ideal for those wishing to expand the size of their mycology projects. 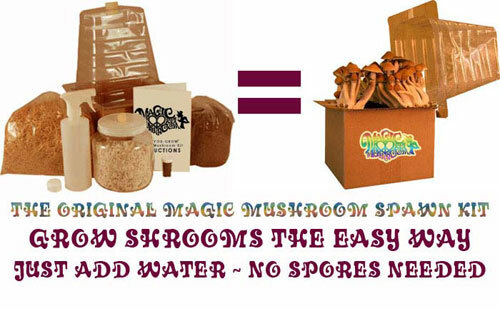 Produces 3 huge flushes of mushrooms for both beginners and experts alike. The MYG Mega-You-Grow® Mushroom Kit Refill is ideal for refreshing your existing MYG mushroom kits or starting new mushroom growing projects. 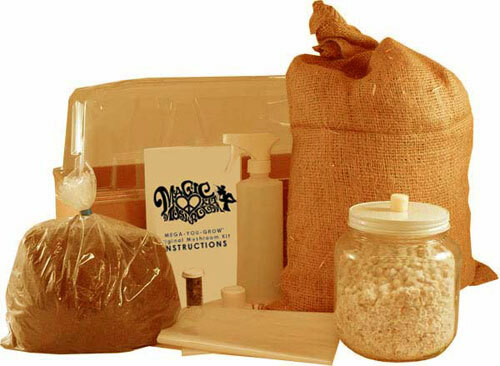 Once you learn the basics of mycology, our refill kit can also be used to set up custom mushroom growing systems. The MYG Mushroom Kit Refill comes with all the essential components you need to start, continue and maintain a successful mushroom casing kit. This kit worked out beyond my expectations. Thank you very much for getting that information to me. this has been the most cooperative and helpful. Good job guys! Delivery was fast and hassle free. Everything came 100% sterile and working in nondescript packaging. Disclaimer: Please note that the MYG MEGA-YOU-GROW mushroom kits and products are NOT to be used to cultivate Psilocybe cubensis or other psilocybin magic mushrooms. The cultivation of psilocybin magic mushrooms is illegal. MYGTech.com and its parent company does not condone or contribute to the cultivation of psilocybin mushroom species. We are strict with this policy - do not attempt to ask cultivation questions concerning psilocybe mushroom species. Please ensure that you read our full disclaimer before ordering.